Experience a warm, friendly and professional welcome at our intimate studio in the heart of Huddersfield, now in its 10th year. With over 20-years’ experience serving Brides, we have applied our know-how to hand-pick a wide selection of the most stunning Wedding Gowns currently available from top designers including Justin Alexander, Signature by Justin Alexander, Wtoo Bride, Enzoani, Lillian West, Sincerity Bridal and White Rose. 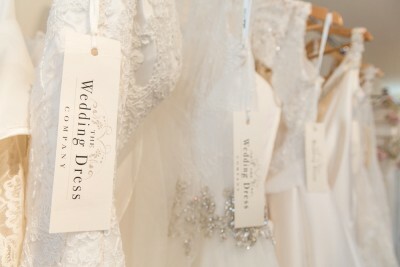 The Wedding Dress Company is a lovely bridal boutique full of prettiness, situated in Corbridge Village a 20 minute drive from Newcastle upon Tyne.